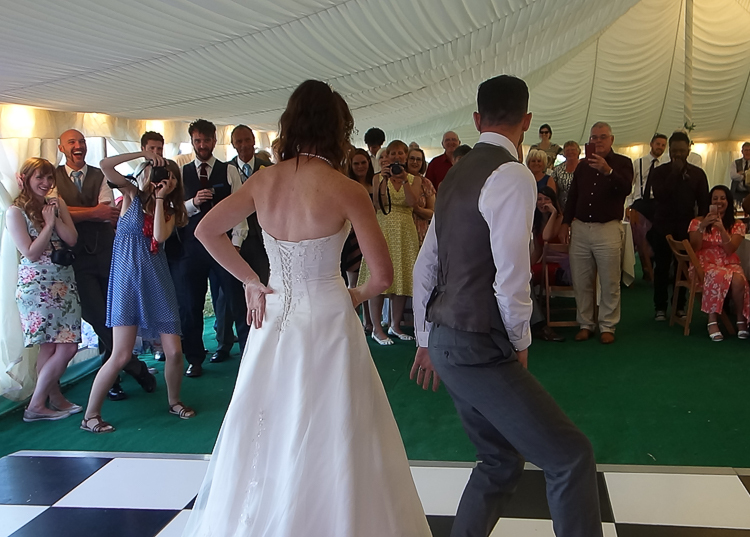 Here at R2 Events, we have a huge variety of sound and lighting equipment that we tailor to each individual party we DJ for across Cornwall, so when Kate and Steve’s booked us for their fabulous marquee wedding in the grounds of Little Trethvas, we knew one of our larger speaker systems would ensure the best sound possible for the outdoor environment. 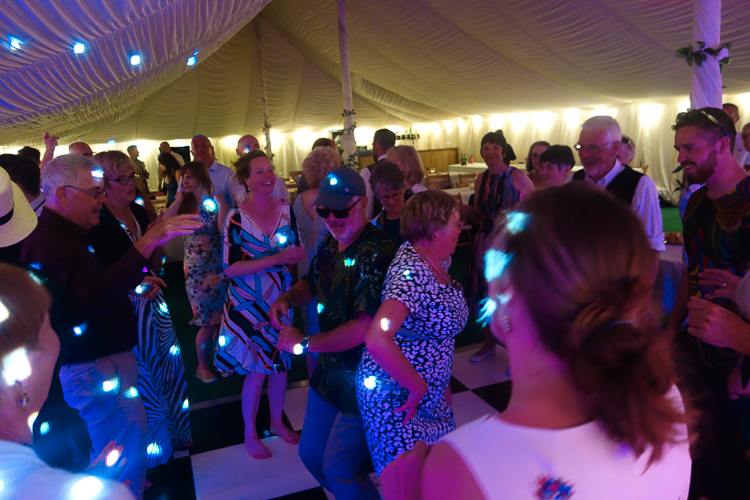 We arrived early on the big day with a cracking sound system and colourful lighting and got set up on the dancefloor, then we created a romantic ambiance in the marquee with some of our customisable up-lighting. Finally, we were ready to get the party started. Or, so we thought… Despite all our cutting edge technology, the only piece of equipment we wished we’d remembered to bring on this occasion was just a simple old desk fan! It was hot, very, very, hot, potentially the hottest day of the year, slap bang in the middle of the June heatwave. Tucked away on the remote Lizard Peninsula is Little Trethvas a pretty campsite for glamping holidays and an ideal location for a marquee wedding. Kate and Steve live in Bristol so Little Trethvas offered the perfect spot for friends and family to stay together and celebrate in a relaxing environment. After the formalities of the wedding ceremony at St Mellanus Church in the nearby coastal village of Mullion, it was back to Little Trethvas to relax in the afternoon sunshine and play a selection of garden games. 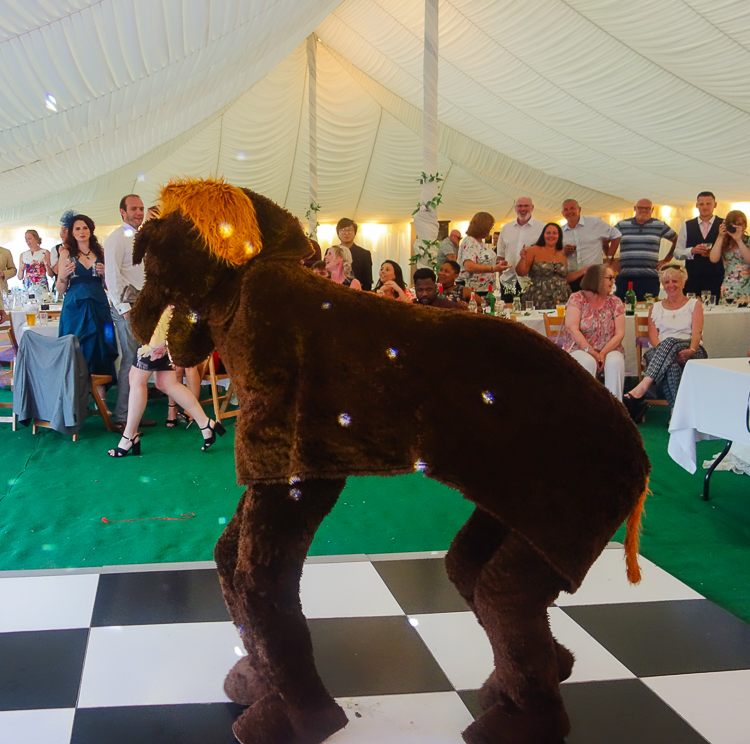 The couple’s guests tucked in to a delicious hog roast from marquee suppliers Truro Marquees before the evening party kicked of with their first dance. This was going to be a first dance with a difference so Kate and Steve took advantage of our early setup option, which gave them complete peace of mind because we were on site to set up and pay attention to all the little details while the couple were still at the church ceremony. As well as supplying wireless microphones for those important speeches, the early-setup option means couples get a unique background music playlist to soundtrack the daytime activities. On this occasion, the newlyweds idea of a laid back, trip hop, ambient electronic vibe suited the balmy summer’s day perfectly. First dances are the where the newlyweds can express their music tastes without worrying about their guests, it’s a personal statement and a special memory to take away from the big day. So when we were told that Kate and Steve had spent time as street dancers in the past and that they had plans for their special first dance we got pretty excited. As you’ll see from the highlights video, we worked with them to plan and produce a “mash up” of two songs, a beautiful lesser known track called Where The Heart Is by HAEVN and a dubstep remix of Michael Jackson’s Beat It. We do love using our audio editing experience to put together these tracks, as we know that on the day no one else is going to know what is about to happen, resulting in an amazing reaction from the crowd! 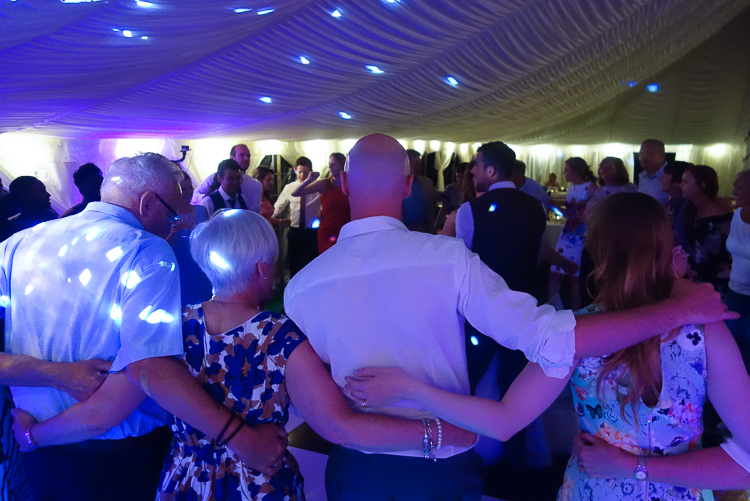 We were approached discretely before the party started by the groom’s mum, who explained that there was a memory from Steve’s childhood that as his parents, they wanted to surprise him with. Cue the grand entrance of a panto horse into the marquee accompanied by David Bowie’s Let’s Dance! Quite how his mum and dad didn’t pass out from heat exhaustion inside that thing on such a hot day we will never know. What we do know however, is that the 4-legged pantomime relic “clip clopping” along surrounded by friends and family has to be one of the most hilarious and bizarre things we’ve seen on a dancefloor. Kate and Steve obviously know their music as the rest of their chosen playlist was a greatest hits collection of party favourites with a particular nod towards 80’s classics. Thank you so much for our wedding music, it was an amazing day & we’ll remember it forever!!! From a happy bride and groom. 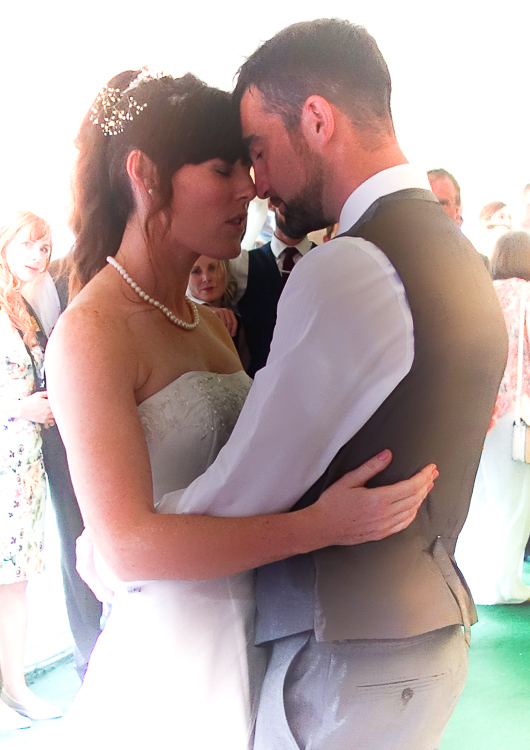 We really enjoyed the music at our son’s wedding – many thanks! and a horse, of course!